The flight from San Francisco to Beijing was during the day and, after flying up the coast, the longest section was over the vast expanse of Siberia. I was fortunate to have a seat that allowed me to easily take photographs out the window. 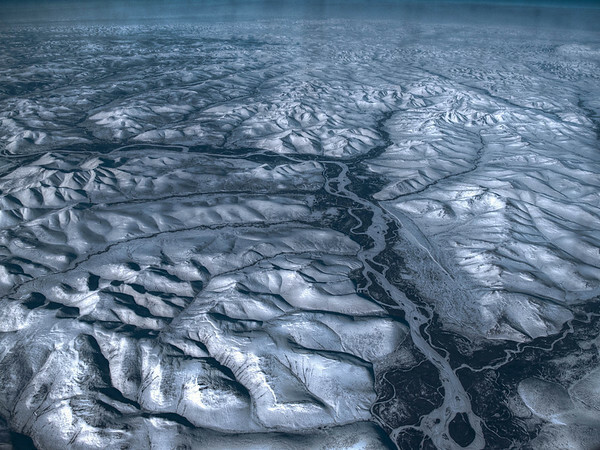 Some of the frozen rivers, such as this photograph, were fascinating patterns on their own.